Janet specialises in advising entrepreneurs and other High Net Worth Individuals on their personal tax affairs. She has particular expertise in onshore and offshore personal taxation planning for both UK based individuals and Non-Doms who she advises on offshore structures, domicile and residence planning and trusts. 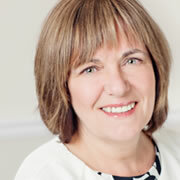 She also helps families and family businesses advising on succession and inheritance tax planning. Janet also acts as Expert Witness in complex private client cases such as matrimonial disputes. Since her early career, Janet has spent over 25 years in private practice and regularly speaks and blogs on personal tax issues. She was a contributor on the UKTI book "Investors' Guide to the United Kingdom" for several years. Janet has looked after my family's UK tax affairs for many years . I have found Janet to be very proactive and to give clear and concise advice. Janet always responds to questions and queries very promptly and turns around requests very efficiently. I have referred several people to Janet all of whom are also very happy with the service she provides. Janet, This is most helpful. FYI the solicitors found your report most professional and of assistance in the re-draft of the Will. Janet really understands the needs of the wealthy family and provides high quality advice in a simple to understand manner. Janet is involved in running a Brownie Pack (as Brown Owl!) and enjoys organising activities and watching the girls' develop and grow. She has an interest in watching sport in general (especially football) having hung up her football boots several years ago as a qualified referee.